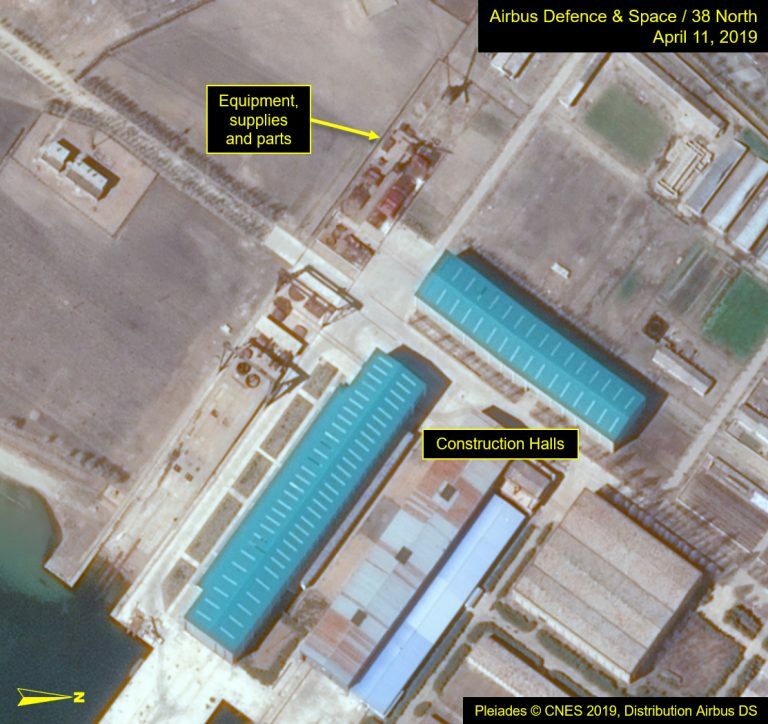 Recent commercial satellite imagery of North Korea’s Sinpo South Shipyard indicates that building of a submarine ongoing for several years—possibly a follow-on to the current SINPO-class experimental ballistic missile submarine—is continuing. 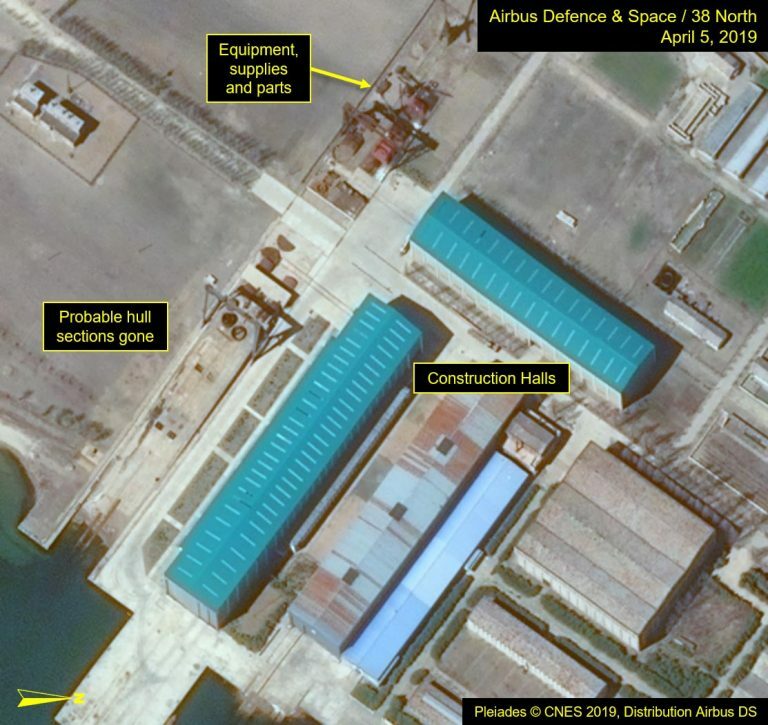 On March 23, probable submarine hull sections, as well as several pieces of equipment, parts and supplies, were seen in the yard adjacent to the Sinpo construction halls. By April 5, the hull sections were gone, and only minor movement of parts is observed in subsequent images. Figure 1. 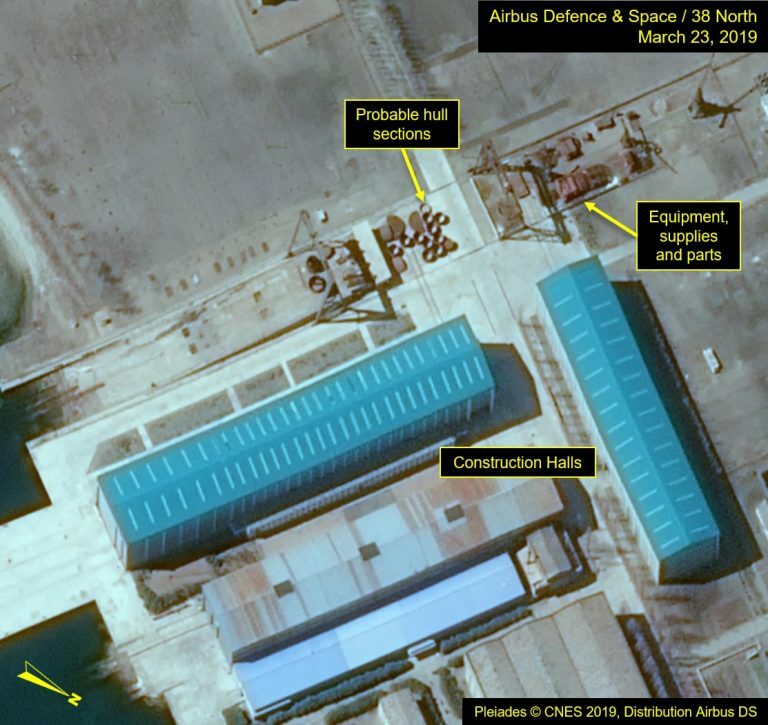 Probable submarine hull sections observed in the parts yard adjacent to the construction halls. 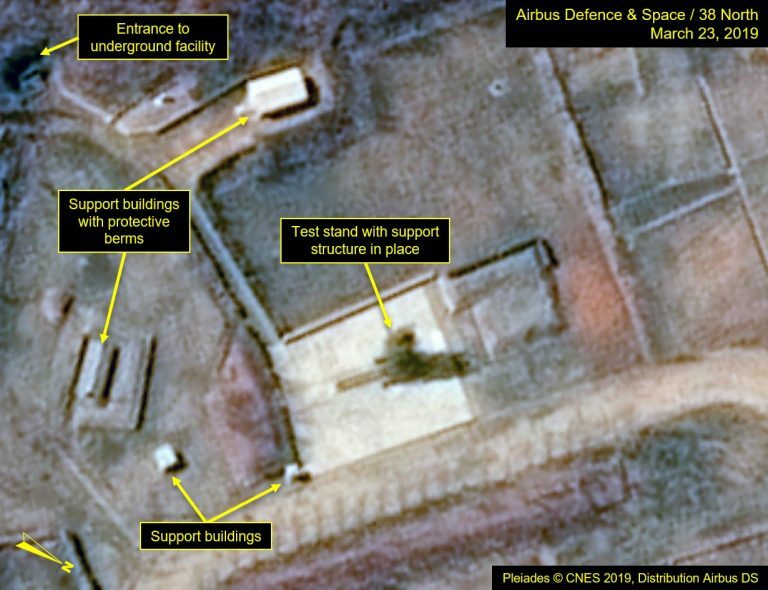 Imagery also indicates that the vertical test stand—used for ejection testing of sea-launched ballistic missiles—was rolled back from its support structure between March 23 and April 5, leaving the launcher strong back (which has a grid-like structure) in its raised position. The launcher and support structure were reunited by April 11. 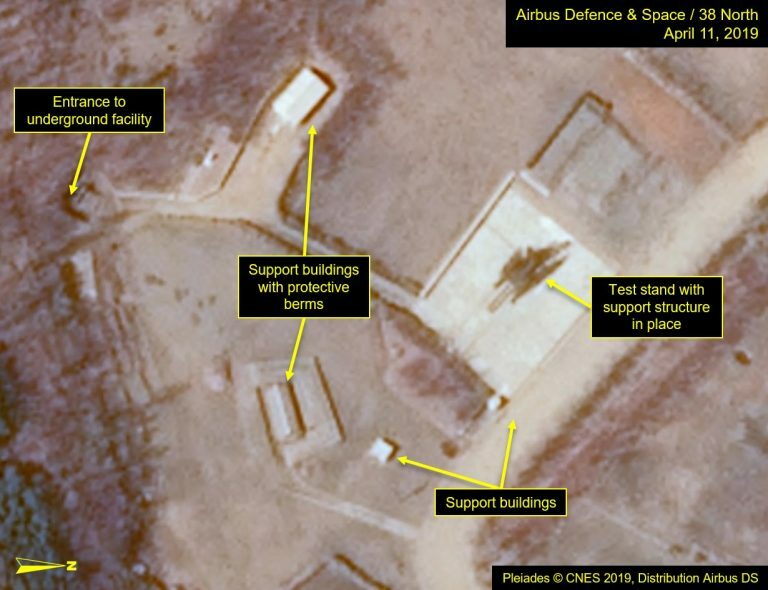 The purpose of this activity is unclear, but no vehicles, cranes or equipment were on or near the pad during this time, suggesting it was likely not missile-test related. Figure 2. 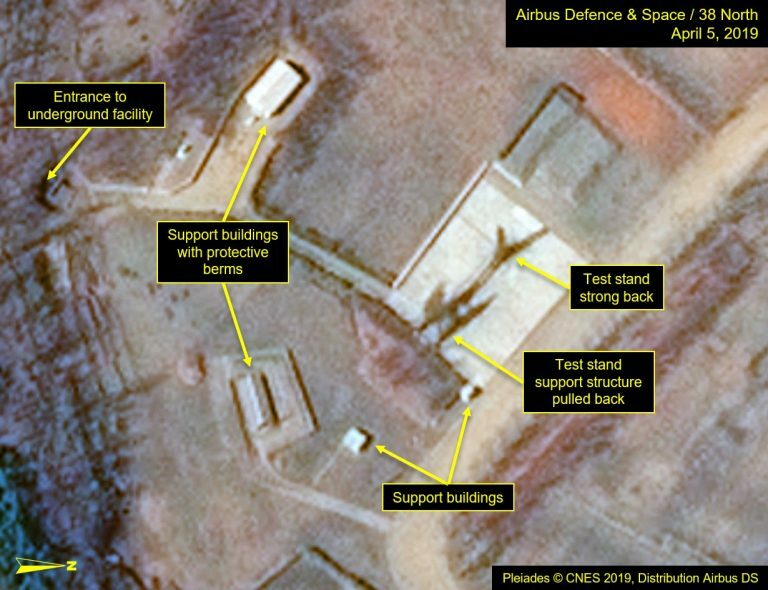 Movement of the vertical test stand observed. 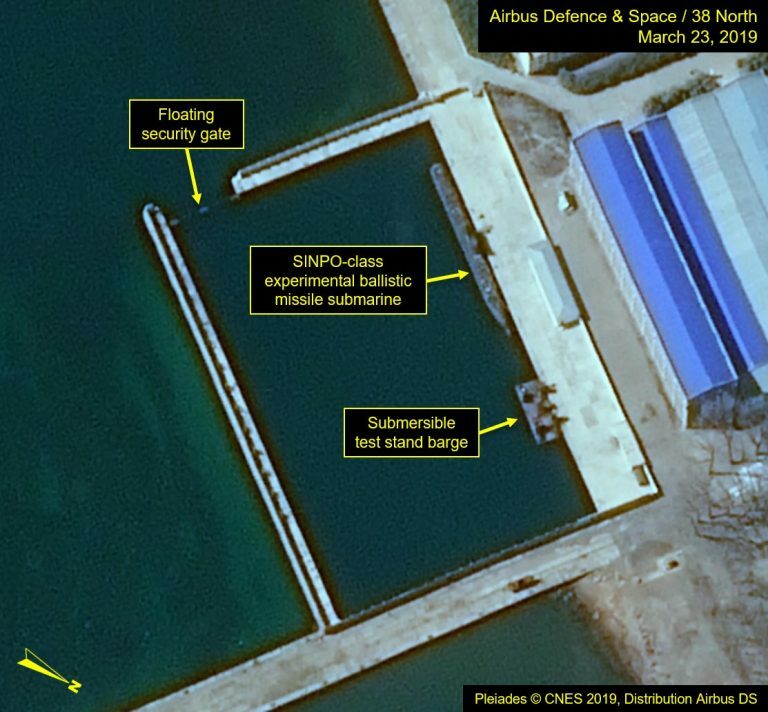 At the secure boat basin, there was no movement of the SINPO-class ballistic missile submarine and submersible launch barge from March 23 to April 11. 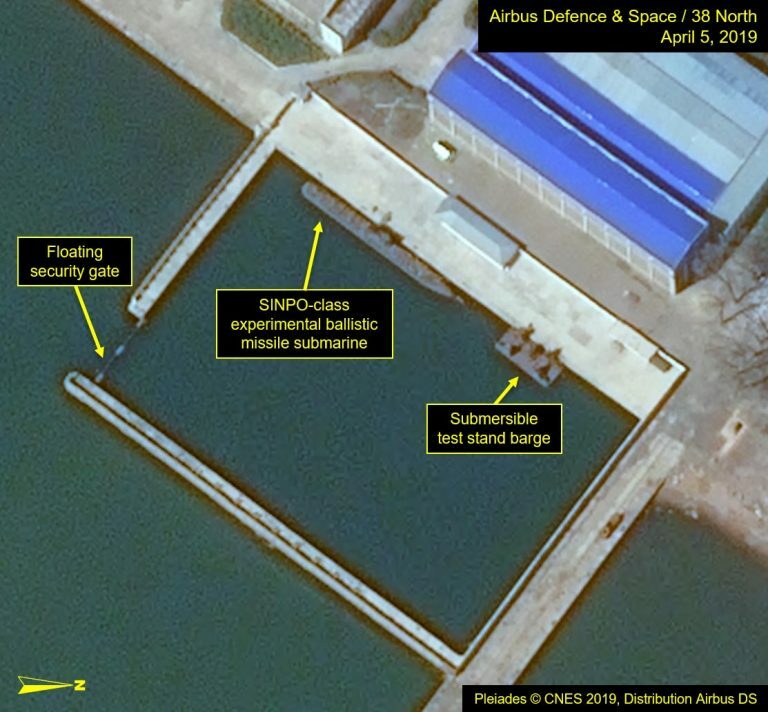 However, imagery from April 11 shows floating cranes just outside the secure perimeter working on submerged objects and a possible cable laying ship berthed nearby. Figure 3. 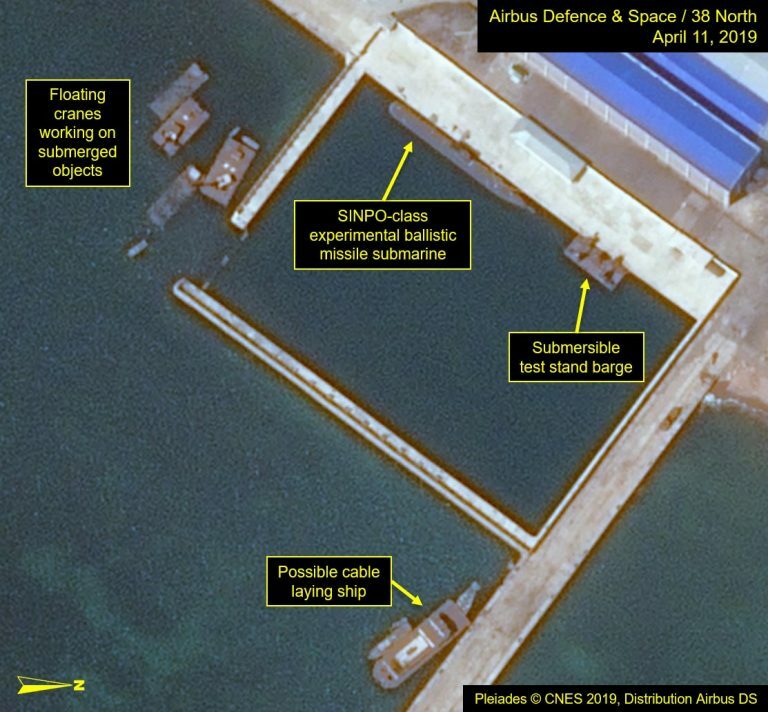 No movement of the SINPO-class experimental ballistic missile submarine or submersible test barge. 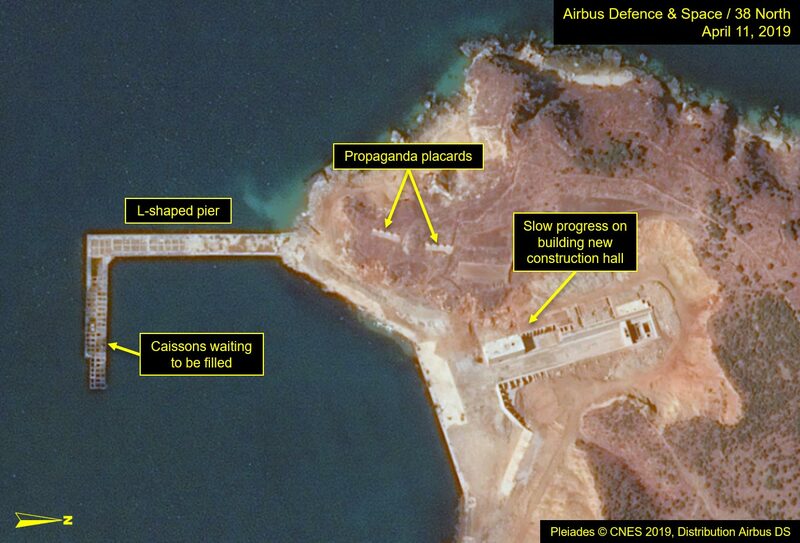 Construction of the new construction/maintenance hall and L-shaped pier on the west side of the Yuktaeso-ri (Sinpo) Peninsula, which began in 2012, continues slowly. Figure 4. Construction continues on the new construction/maintenance hall and L-shaped pier.